4 images. 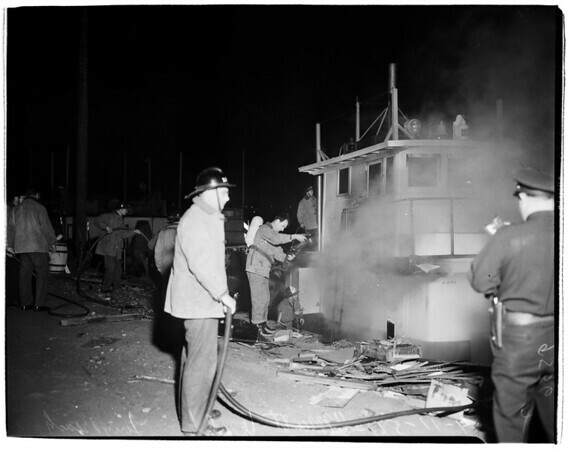 Boat Fire (Long Beach Harbor), 11 April 1952. 60 feet "Matt Walsh" at Pier "C" Long Beach Harbor.